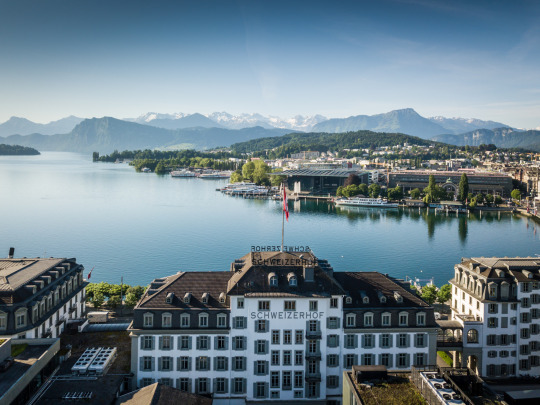 Together with the octagonal water tower, this bridge is the most iconic landmark of Lucerne. It is also the oldest and, quite possibly, most famous wooden bridge in Europe. Afterwards, enjoy an exquisite lunch and a glass of fine wine at La Bonne Cave. Fancy a concert, a trip to the museum, some coffee and cake, perhaps a cocktail? The KKL Culture and Convention Centre on the shores of Lake Lucerne is always worth a visit. If you want to get up Mount Pilatus, you can take a gondola lift, a cable car or an cogwheel train. Those who like a bit of adrenaline can steel their nerves at the rope park in summer or speed down the toboggan run in winter. Or did you come here to relax? 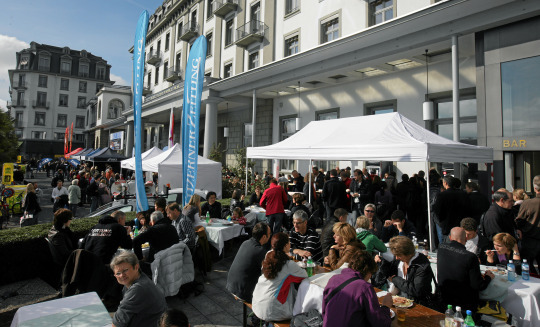 Mount Pilatus also hosts a great Sunday brunch, fondues and grilled delicacies right from the “Tatar's hat”. It is a truly historic location. Built around 1600, the listed town hall has since been turned into a brewery with its own restaurant. Sample a craft beer to go with a hearty sausage from the butchers of Lucerne or learn all about the traditional art of brewing during the 45-minute guided tour, which finishes with an apéro. Don’t miss out on the delights offered at the “Max Chocolatier” chocolate maker. Its goods include hand-made chocolate and confectionery goods of the finest quality, heavenly pralines and chocolate truffles, and some veritable masterpieces of chocolate-making. It is a true magnet for chocoholics. The perfect blend: this tea house serves 50 select types of tea with endlessly nuanced flavours prepared in a variety of ways. Enjoy a cuppa along with some cold or warm mezze or a slice of delicious home-made cake. Celebrate tea culture in a cosy Eastern atmosphere. You deserve a relaxing day. Take a boat to the Bürgenstock railway station, then a train up to the Bürgenstock resort. 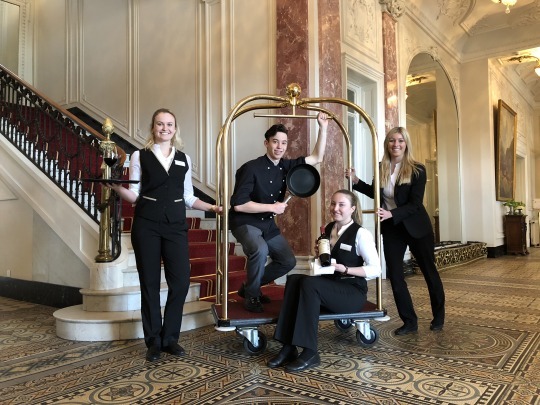 Enjoy a comfortable afternoon with coffee or tea in the Lake View Lobby Lounge and take in the magnificent views of Lake Lucerne and the Prealps. This former barn is a fundamental part of Lucerne’s cultural scene. The “Schüür” right behind Lucerne railway station hosts cool gigs and parties on some days, and lectures, presentations and cultural events on others. Browse the Schüür events calendar and then dive into the cultural scene of Lucerne. Yes, you read correctly: it’s an indoor pool with a cinema. The quirky establishment screens popular and unknown films that are best enjoyed on the big screen. Other things to see and do at “Neubad” include lectures on socially relevant topics, the Repair Café and an art gallery, each of them well worth a visit. It is, after all, one of the world’s most famous monuments. The “Dying Lion” in Lucerne city centre was carved into the rock to commemorate the Swiss Guards who fell at the Tuileries in 1792. The “Inseli” park on the shore of Lake Lucerne is one of the most beautiful places in town. Enjoy a lush, summery afternoon on a lounger or at one of the cute tables. Between 1 April and 22 September, the “Buvette” summer bar serves refreshing drinks. The walking and leisure area boasts offers views of Lucerne. The Schwyzerhüsli path is a five-kilometre walk leading from Hotel Schweizerhof to the Sonnenberg. If you would rather not walk, how about a ride on the nostalgic blue train? The museum is adjacent to a vast lawn that is perfect for picnics. Pack some tasty treats and relax right on the shores of Lake Lucerne. 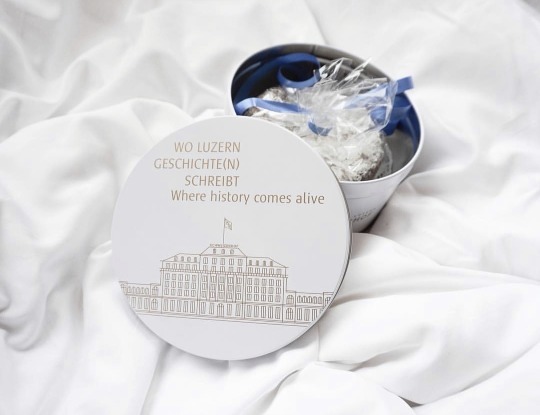 By the way, you can pre-order ready-made picnic baskets complete with a blanket and cutlery at Hotel Schweizerhof Luzern. 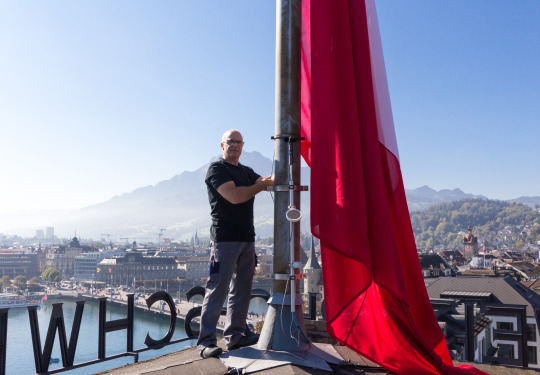 Make sure not to miss this classic Lucerne activity. Even better, a trip on a nostalgic paddle steamer, accompanied by great food and music. Discover the brunch boat, the jazz-and-dixie steamer or the world food boat. The Swiss Museum of Transport is paradise for all those who like to discover. It features the largest screen in Switzerland and regularly shows documentaries, operas and ballet performances. The museum showcases the development of transport and the planetarium offers a space show in a 360-degree night sky. Afterwards, you can see, hear, smell and taste the history of chocolate at the “Swiss Chocolate Adventure”. The “Werkstatt” (literally “workshop”) stands out for its creatively interpreted and attractively presented dishes. It serves tasty, fresh food for brunch, lunch and dinner – in a toolbox! Do you want to get creative yourself? Various workshops allow you to prepare exquisite meals and cocktails together with professional chefs and sample high-grade wines and coffees. Shaken, not stirred. This iconic quote by the legendary James Bond applies quite well to the GEMA, Lucerne’s most famous drink. Served in a shaker, it contains nine ingredients. The bright red Cadillac in the middle of the restaurant is an entertaining visual highlight. Hazy, turquoise light, ice that dates back five millennia and a chilly -1.5 degrees. Are you ready for this impressive setting in the glacial grotto on Mount Titlis? Before you start your exploration tour, the Rotair cable car will take you up to an altitude of 3,020 metres. An altitude of 3,041 metres, a 500-metre drop and more than 150 steps of pure adrenaline – the “Cliff Walk” is Europe’s highest and most spectacular suspension bridge. Located on top of Mount Titlis, the 100-metre bridge connects the observation deck with the summit station of the "Ice Flyer” glacier chairlift. Simply breathtaking! Are you short on time? The City Train takes you past all the important sights of Lucerne in 40 minutes, accompanied by audio guidance in 16 languages. It departs directly in front of Hotel Schweizerhof Luzern.